Mariachi - What Does It Mean? 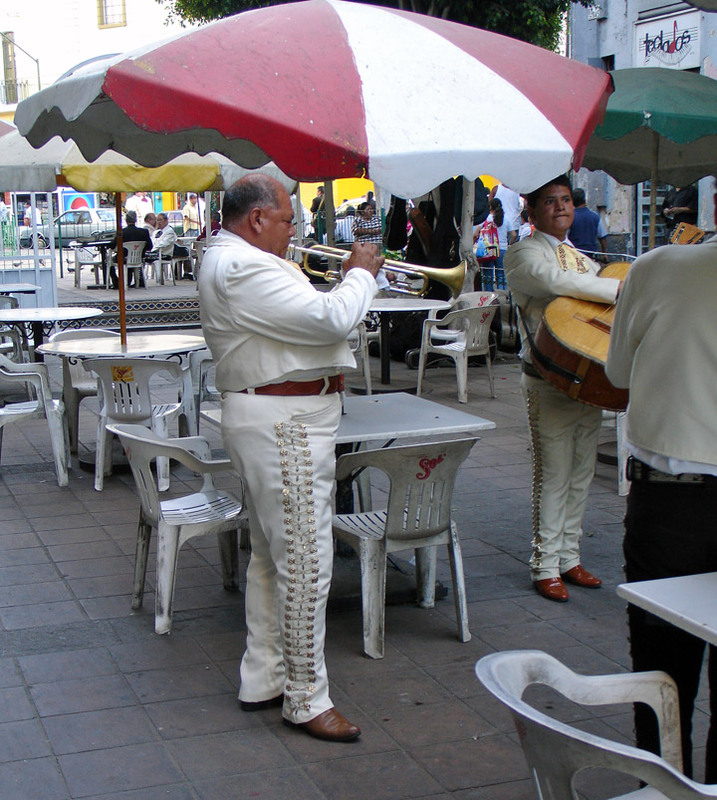 Musicologists and folklorists have argued for years over the origin of the word - Mariachi. The explanation that appears most frequently - especially on record jackets and in travel brochures - is that it is a variation of the French word mariage, meaning wedding or marriage, and comes from the time in the nineteenth century when Maximillian, a Frenchman, was Emperor of Mexico. According to this myth the Mariachi was named by the French after the celebration with which it was most commonly associated. But this explanation, always regarded as highly doubtful by linguists, was totally discredited recently when a use of the word was found that predated the time when the French arrived in Mexico. 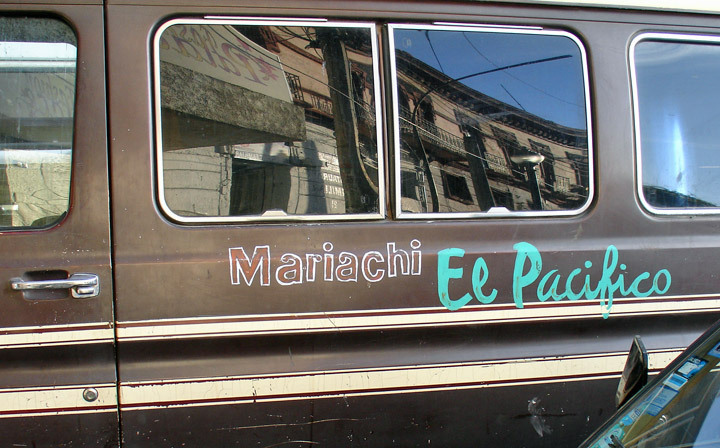 Currently, however, the best scholarly opinion is that the word mariachi has native roots. One theory is that it comes from the name of the wood used to make the platform on which the performers danced to the music of the village musicians. But whatever its true source - and the truth may never be discovered with absolute certainty - the word today has one meaning that is crystal clear: Mariachi means on of the most exciting and enchanting musical ensembles found anywhere in the world. 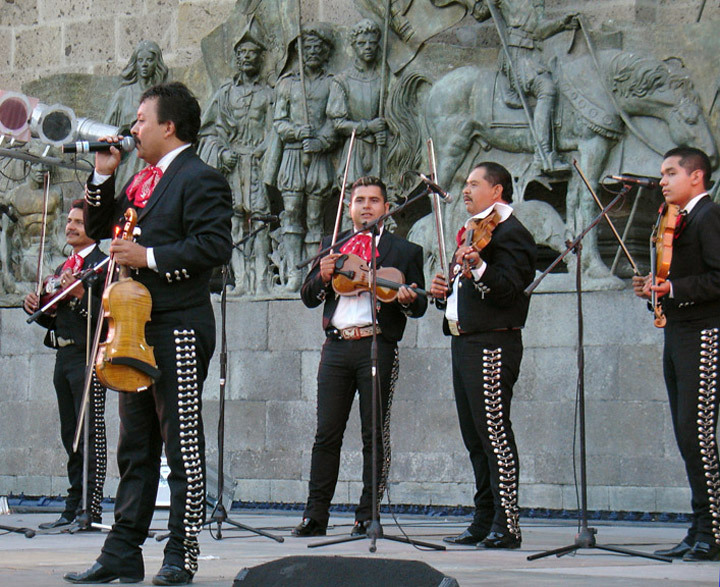 In the complete Mariachi group today there are as many as six to eight violins, two trumpets, and a guitar - all standard European instruments. 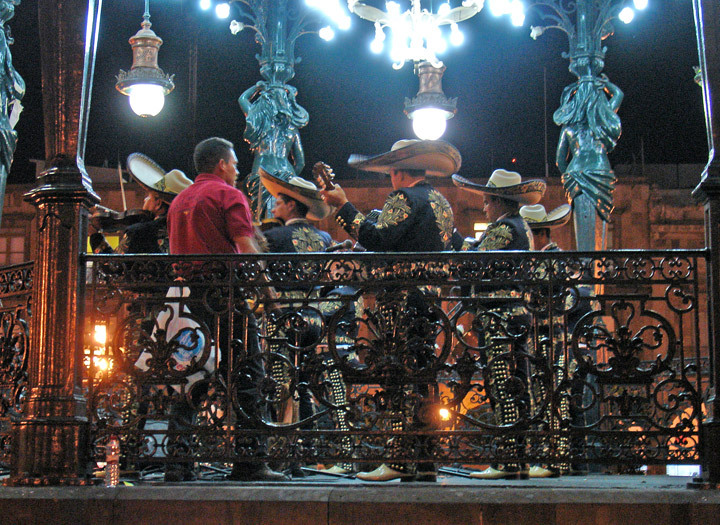 Then there is a high-itched, round-backed guitar called the vihuela, which when strummed in the traditional manner gives the Mariachi its typical rhythmic vitality; a deep-voiced guitar called the guitarrón which serves as the bass of the ensemble; and a Mexican folk harp, which usually doubles the base line, but also ornaments the melody. While these three instruments have European origins, in their present form they are strictly Mexican. The sound that these instruments combine to make is unique. Like the sarape, which often used widely contrasting colors side by side - green and orange, yellow and blue - the Mariachi used sharply contrasting sounds: the sweet sounds of the violins against the brilliance of the trumpets, and the deep sound of the guitarrón against the crisp, high voice of the vihuela; and the frequent shifting between syncopation and on-beat rhythm. The resulting sound is the heart and soul of Mexico. 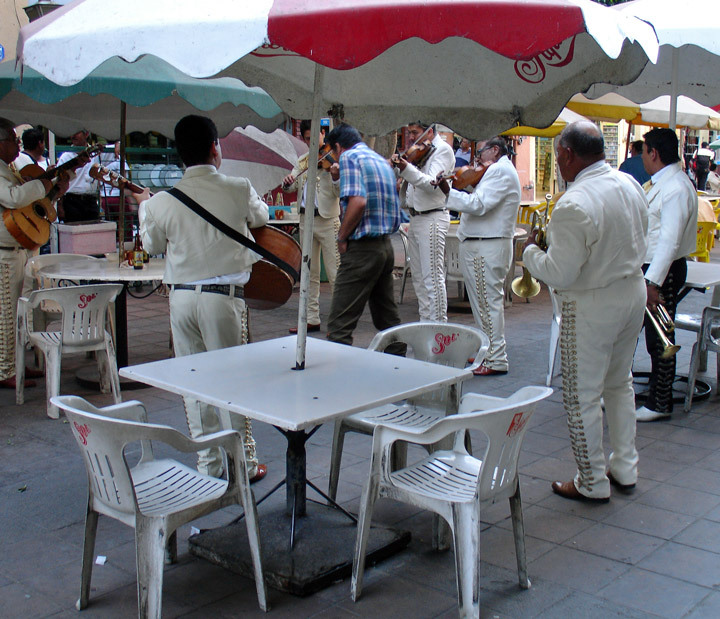 Although the origins of Mariachi music go back hundreds of years, in the form we know it the Mariachi began in the nineteenth century in the Mexican state of Jalisco - according to popular legend, in the town of Cocula. 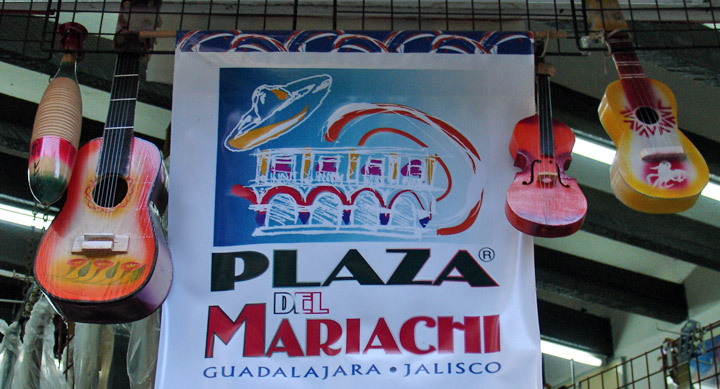 The Mariachi was the distinctive version of the Spanish theatrical orchestra of violins, harp and guitars which developed in and around Jalisco. In other areas such as Veracruz and the Huasteca region in the northeast, the ensemble evolved differently. By the end of the nineteenth century, in Cocula the vihuela, two violins, and the guitarró n (which had replaced the harp) were the instruments of the Mariachi. 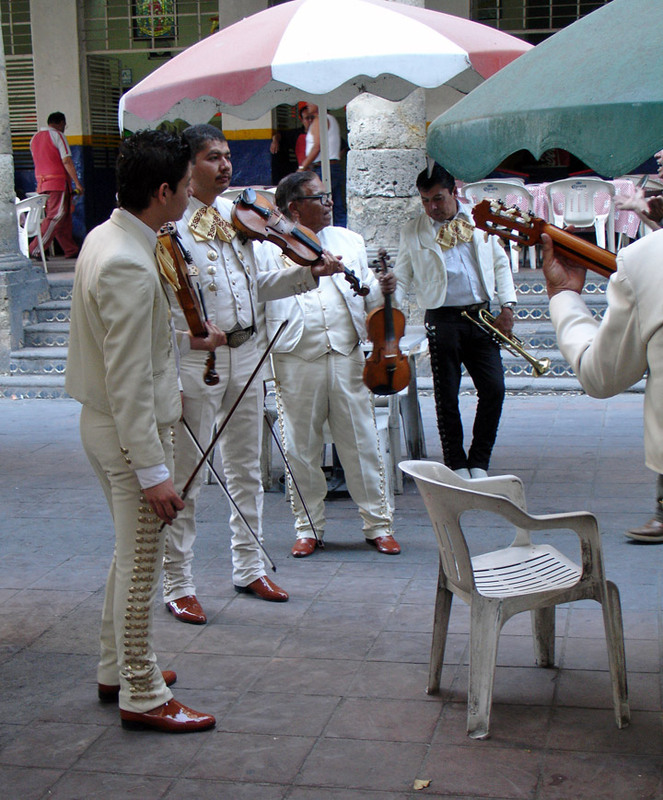 The principal music played by these early Mariachis was the son, the popular music of the day. A mixture of folk traditions from Spain, Mexico, and Africa, the son was found in many regions of the country. The son from Jalisco is called the son jalisciense. La Negra is the best-known example. 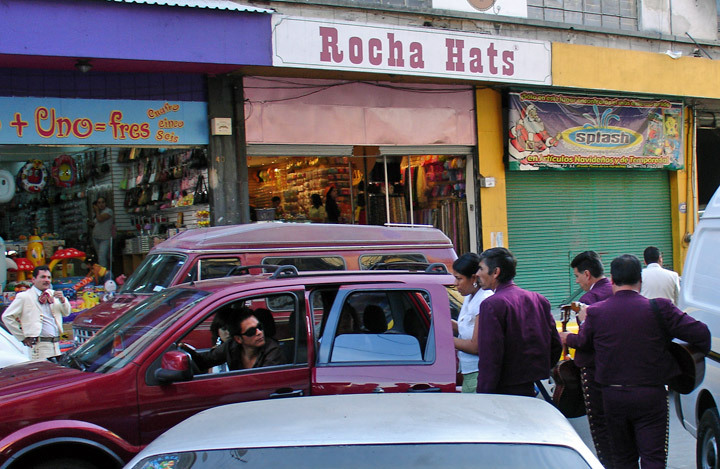 Sones from other regions include the son jarocho or veracruzano, from the region around the Gulf port of Veracruz; and the son huasteco, from northeastern Mexico. The most famous example of the son jarocho is La Bamba . A typical son huasteco, also known as the huapango, is La Malagueñ a. It is interesting to note that there are some sones, such as El Gusto, which are common in all three regions and clearly date back to a common ancestor. It is important to remember the son-and other types of Mariachi music- is not just music to be played and sung. From the very start it was music to be danced. 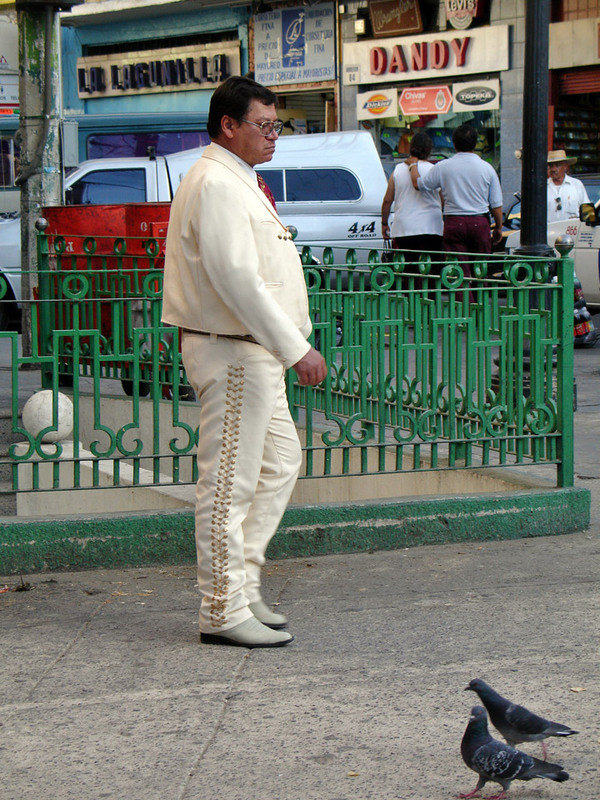 The traditional dance technique associated with both the son jalisciense and son jarocho is the zapateado, a distinctive type of footwork that originated in Spain. When dancing the zapateado the performers skillfully drive the heels of their boots or shoes into the dance-floor, pounding out swift, often syncopated rhythms which complement the different rhythm of the musical instruments. The zapateado can literally reduce even the most resistant dance floor to splinters because of the force with which it is danced. Each of the regional variations of the son has its traditional style of dance. The huapango or son huasteco, for instance, like the son jalisciense and son jarocho, was originally danced on wooden platforms, in some areas mounted on earthen jugs. To dance the huapango the couples line up in opposing columns. The upper part of the body is held perfectly erect as the feet perform rapid, intricate, shuffling maneuvers. Today it is sometimes performed with a glass of water on the head to show off the dancer's incredible muscular control. The lyrics of the sones frequently describe country life: in particular, the plants, animals and people of the region. These lyrics are highly suggestive, often using imagery of the courtship of farm animals to describe the relations of men and women. In the dance the movements of the performers often represent the farm-yard courtship described in the verses of the sones. Another kind of music related to the son and intimately connected with a particular dance is the jarabe. The jarabe, which has many regional variations, is really a medley of dance pieces, including sones, danzas, jotas, and polkas. No discussion of Mariachi dance would be complete without mentioning the famous Jarabe Tapatio - the Mexican Hat Dance. Associated with Guadalajara in the state of Jalisco, it has become the national dance of Mexico. It is highly stylized, with prescribed movements and costumes. The male wears the classic outfit the Jalisco horsemen or charro, while the female the China, wears a hand-woven shawl and a bright sequined skirt. 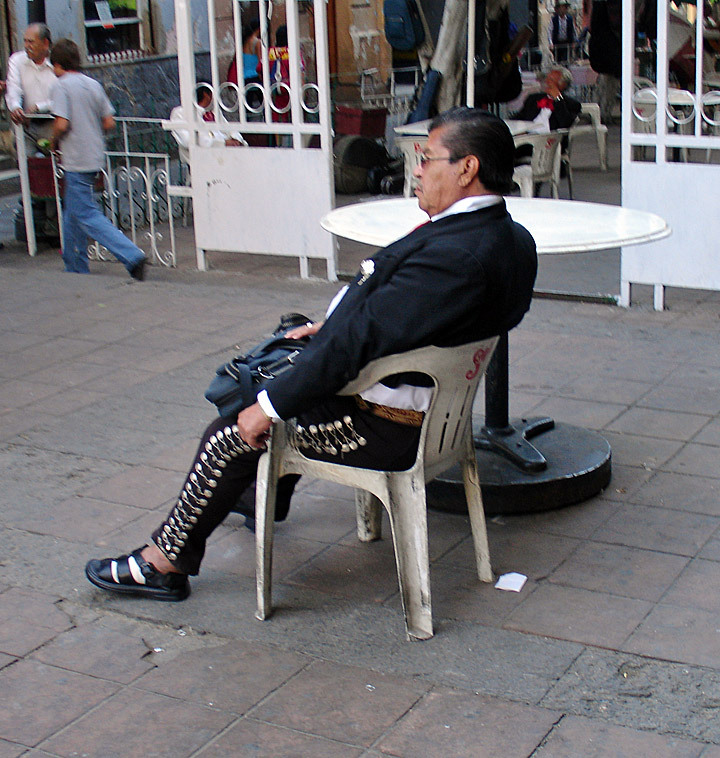 By the 1930's Mariachi musicians had begun wearing the same traje de charro, consisting of a waist-length jacket and tightly fitted wool pants which open slightly at the ankle to fit over a short riding boot. Both pants and jacket are often ornamented with embroidery, intricately cut leather designs, or silver buttons in a variety of shapes. 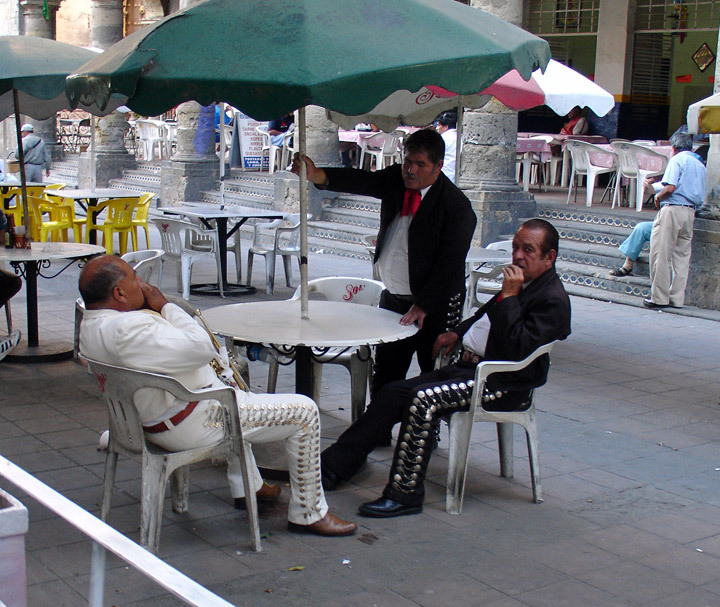 Prior to the 1930's, photographs show early Mariachis dressed in calzones de manta, and huaraches, homespun white cotton pants and shirts and leather sandals, the clothes worn by most peasants in Jalisco. 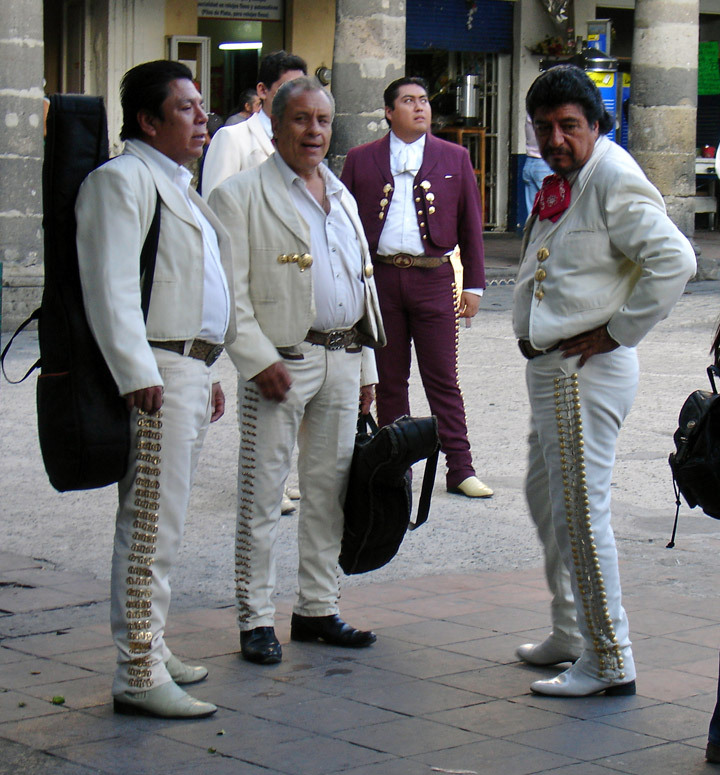 Although the roots of the Mariachi go back hundreds of years, there are no Bachs or Beethovens in its early history because Mariachi music was the music of country people. Until the 1930's Mariachi groups were local and semi-professional. They were almost entirely unknown outside their own region. This began to change about 60 years ago, when the Mariachi Vargas de Tecalitlán n, founded by Gaspar Vargas in 1898, went from Jalisco to Mexico City. They were invited to play at the inauguration in 1934 of populist President Lá zaro Cárdenas, one of whose great interests was to foster the native culture of Mexico. Catching the Presidents enthusiasm, urban sophisticates took the folk arts to their hearts, and the Mariachi Vargas instantly became the toast of the town. The initial success was only the beginning. Silvestre Vargas, who had taken over from his father as leader of the Mariachi Vargas in 1928, soon hired a trained musician, Rubín Fuentes, as musical director. 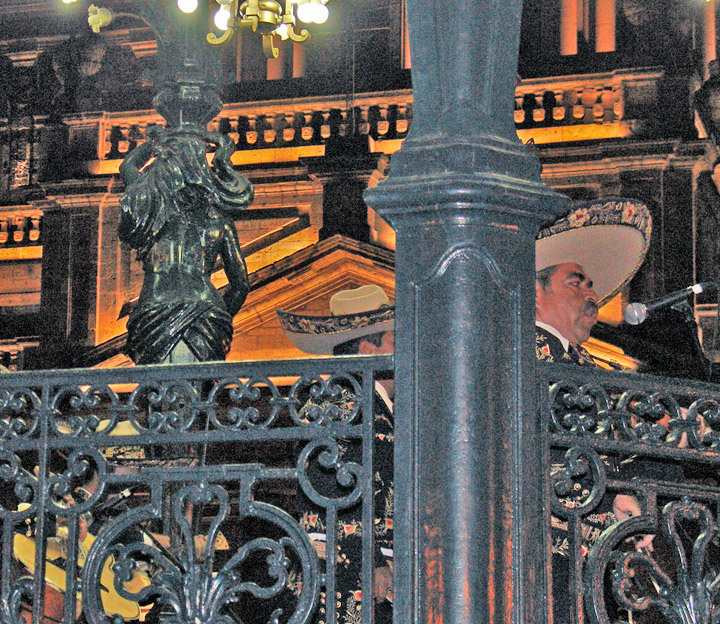 Fuentes, still actively involved with the Mariachi Vargas more than fifty years later, is one of the towering figures in the development of the Mariachi. With the help of Silvestre Vargas, he standardized the arrangements of many of the traditional sones composed many exceptional new huapangos, and wrote arrangements for many of the legendary song writers and singers of his generation, including Pedro Infante, Miguel Aceves Mejía, Lola Beltrán, and José Alfredo Jiménez. By the 1950's he insisted that all his musicians read music. These innovations changed the way Mariachi music moved from one group to another. Gone was the total reliance of the musicians on their ears to pick up new songs, and techniques. With this giant step toward professionalism coinciding with the development of recordings, radio and film, the Mariachi Vargas was able to become the ideal that all other groups would emulate. With the addition of two trumpets, a classical guitar and more violins, by the 1950's the Mariachi ensemble had become a complete, adaptable orchestra, with the ability to retain its traditional base while it was assimilating new musical ideas and styles. The importance of Mariachi Vargas cannot be overestimated. Its arrangements have become the definitive statements of what the Mariachi should be. 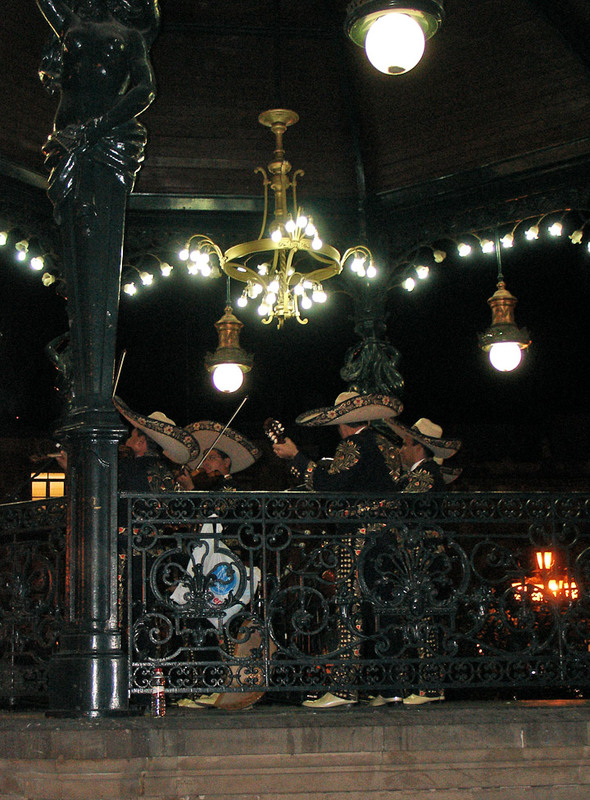 Mariachis often help celebrate the great moments in the lives of the Mexican people. 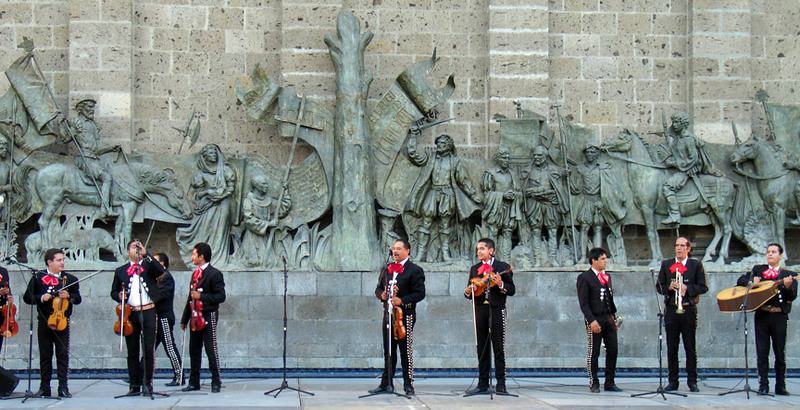 With the serenata (serenade), the Mariachi participates in the rite of courtship. In a society where the young members of opposite sexes were kept apart, the serenata was a means of communication by which a young man could send a message of love to the woman of his heart. In many areas of Mexico, it is not unusual to be awakened by the sound of Las Mañ anitas, the traditional song for saints days, or birthdays. 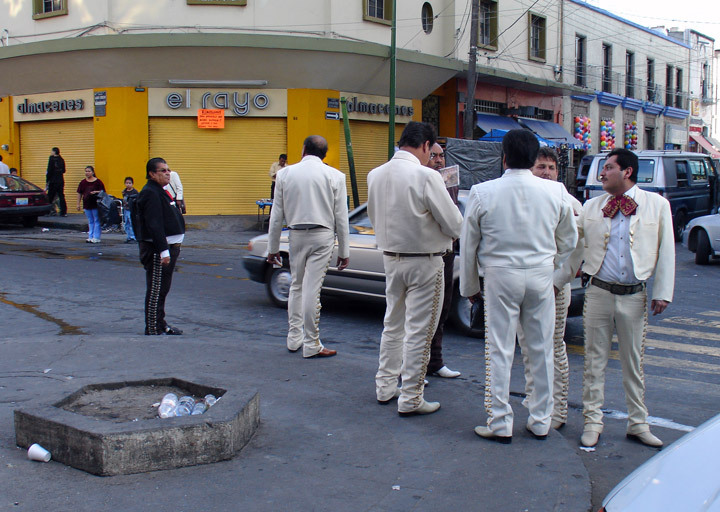 The Mariachi is usually positioned strategically on the street beneath the window of the festejada, but the sound of its music echoes through the whole neighborhood. 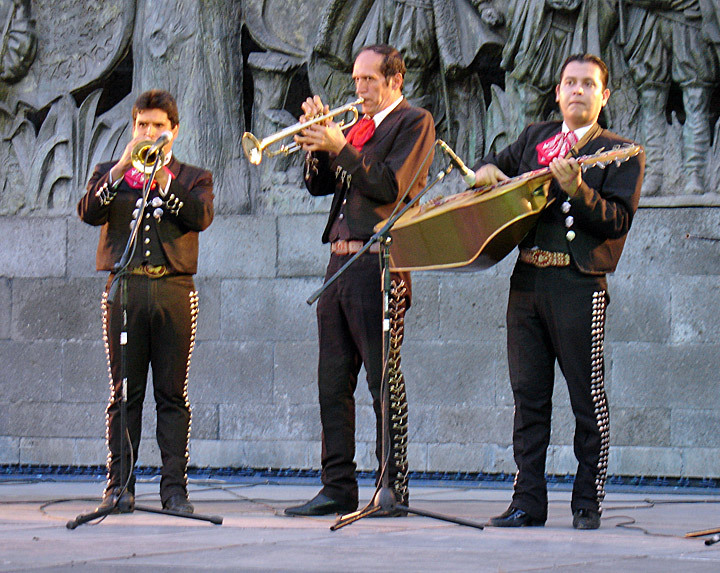 Mariachis are also commonly hired for baptisms, weddings, patriotic holidays, and even funerals. It is not unusual for the deceased to leave a list of favorite songs to be sung beside the grave at burial. The first Mariachi Mass was the concept of a Canadian priest, Father Juan Marco Leclerc, and has been celebrated in Cuernavaca since 1966. It originally took place in a small chapel, but news of it spread so rapidly, and the crowds grew so large, that the regular Sunday Mariachi Mass had be moved to the Cathedral of Cuernavaca. It is now frequently performed throughout Mexico, and In many areas in the United States where people of Mexican origin live.